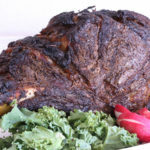 This Standing Bone-in Rib Eye Roast recipe is tender, juicy and delicious seasoned with lemon-pepper, rosemary, garlic powder and cayenne pepper. 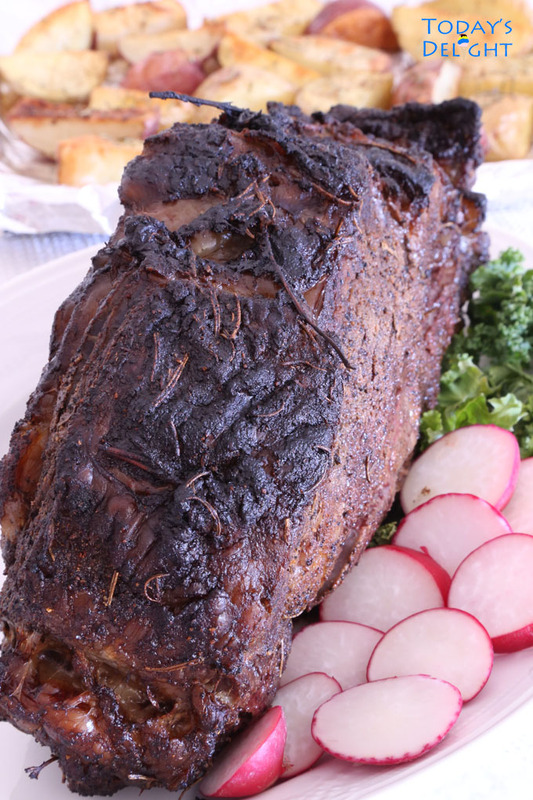 With only a few ingredients you can have a scrumptious rib eye roast meal in a few hours. Who can say no to this delicious cut of me, not me. I digress. When it comes to steak the rib eye is my favorite cut. A well marbled rib eye is the best. Filet mignon is good if you want a very lean cut but it’s not for me. When I was younger I never worried about cholesterol. I would have rib eye steak almost every day. A quick and delicious way to cook it was pan fried. Even my two tiny dogs appreciated the daily rib eye meal. Those days are gone when two thin slices of rib eye would go on sale for $5. I would stock up my freezer when I can get it for cheap. Now I limit myself to 1 to 2 steak a month. 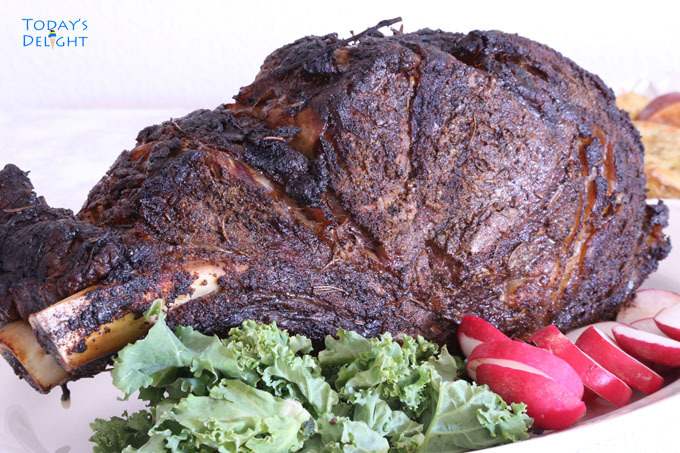 Back to this delicious Standing Bone-in Rib Eye Roast Recipe. 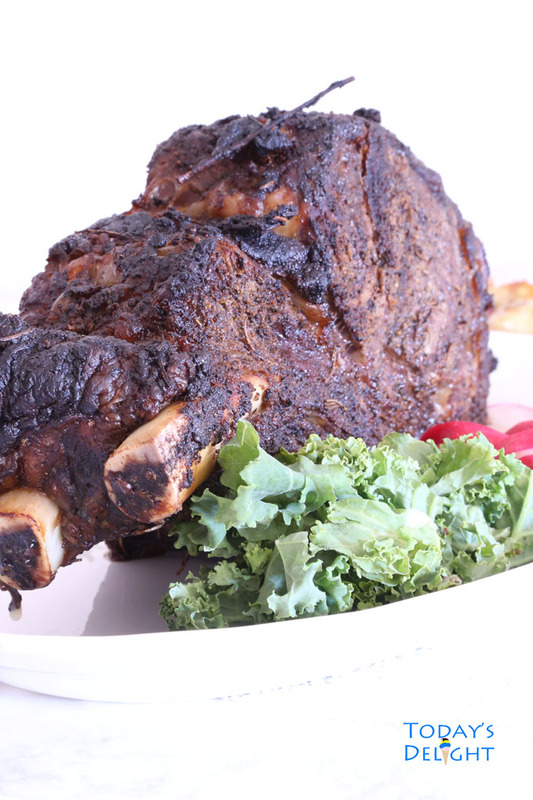 How to Cook a Standing Bone-in Rib Eye Roast Recipe? It is so easy to prepare this roast. First you have to fully thaw the meat before roasting. Place it in the fridge for a couple of days to thaw depending on the size. Combine all the dry ingredients and rub it all over the meat. Place the rib eye in a roasting pan standing up with the fat side up and the bone side down. For this 5 pound rib eye it took me an hour or so to roast it in the oven. Make sure not to discard the drippings. After cooking remove it from the oven, cover it with foil and let it rest for at least 20 minutes before cutting the meat. Tip: I happened to have a rosemary plant that died and dried up. I took all the dried rosemary leaves and used that. It had a stronger fragrance and flavor compared to a processed dried rosemary. How long do you cook rib eye roast? Most people prefer medium-rare or medium. Cook it to your liking. 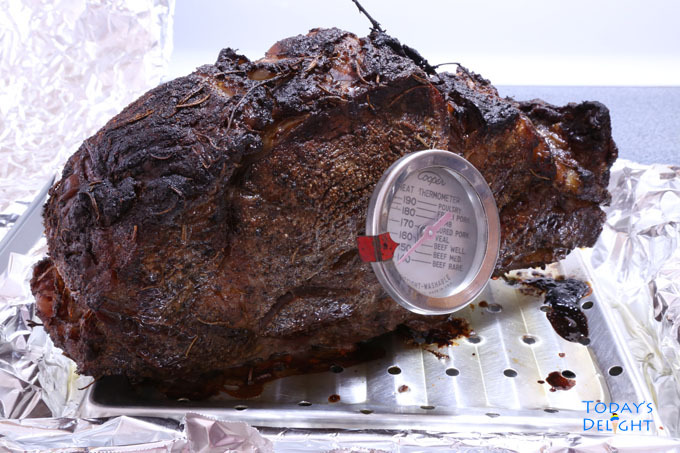 Use a thermometer to perfectly cook a juicy and tender rib eye roast. For a medium-rare the internal temperature should be between 130 to 135 degree F and medium about 140 to 145 degree F. I am one of those people who doesn’t like their meat pink. I usually cook it medium then I get my slice and pan fry it and it is delicious for my taste. Why do you rest the rib eye after roasting? This will keep the juice well distributed in the meat before cutting. Tender, juicy and delicious rib eye roasted to perfection. Preheat oven to 350 degree F. Combine dry ingredients and rub all over meat or sprinkle seasoning and spices all over meat. 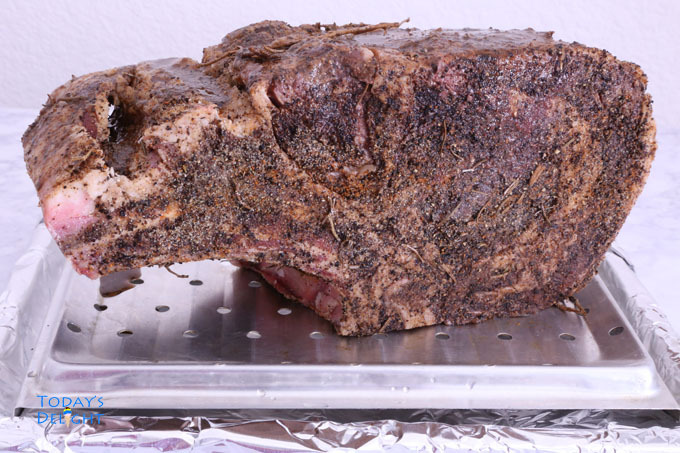 Place rib eye roast on a rack in a roasting pan, fat side up and bone side down. Roast for 1 ½ or 2 hours and uncovered. Use a thermometer and depending on your liking cook meat until it reaches desired doneness. For medium-rare, thermometer should read 135°and medium 140°. Once done remove from oven and cover meat with foil. Let stand 20 minutes before slicing.